Love the look of decorative painting? 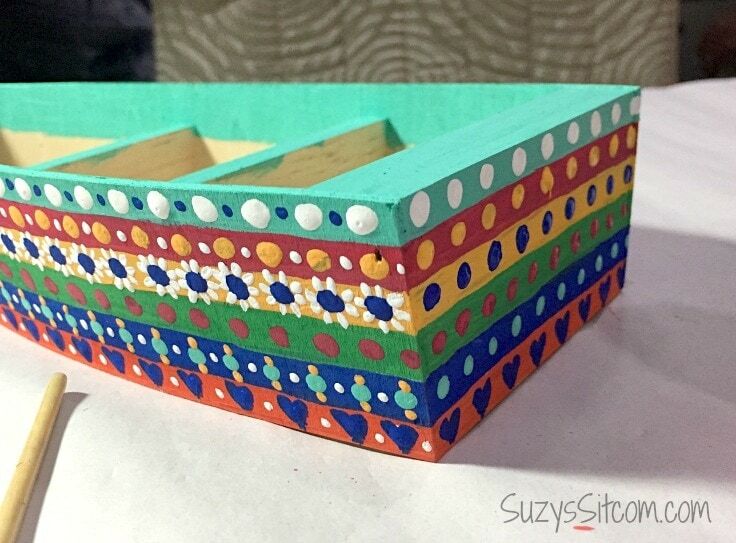 This tutorial walks you through decorative painting: adding color the easy way. Create a beautiful and eyecatching piece of decor! It’s winter time, and it is a great time to add a bit of cheerful color to your home decor! 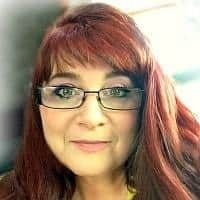 I’m Suzy Myers from Suzys Sitcom, and I would love to show you a great decorative painting technique, adding color the easy way and bringing to life a little planter for your windowsill! Unfinished wood pieces are the perfect choice for a bit of color. 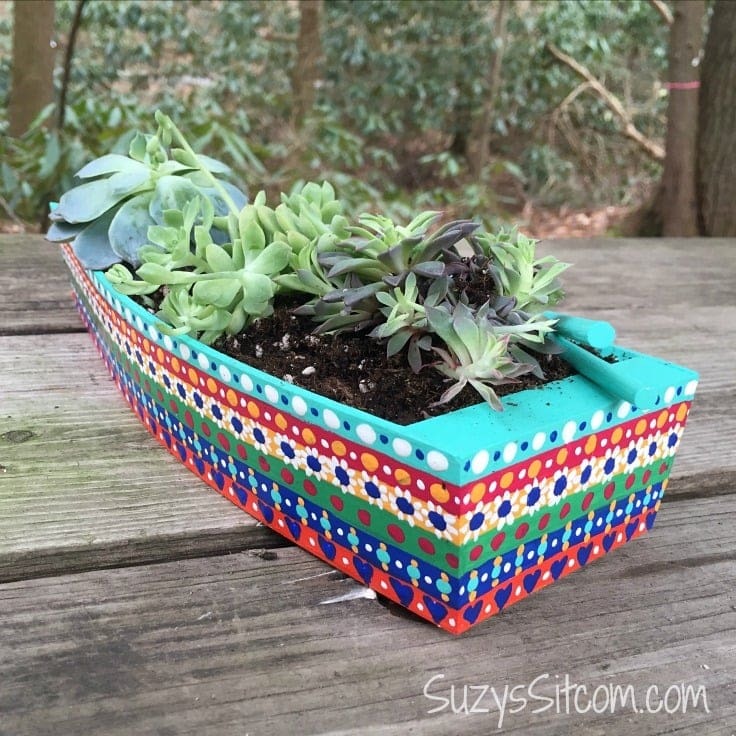 In this case, I found this sweet little wooden boat and decided to make it into a small planter. Because I’m not the biggest green thumb in the world, I chose some small desert plants that might just have a chance under my care. How to add beautiful Decorative Painting the easy way! This simple technique involves painting with dots and adding a chosen mix of colors. You will be surprised at how easy this decorative painting technique is! A ruler and a pencil work well to mark off rows of color. 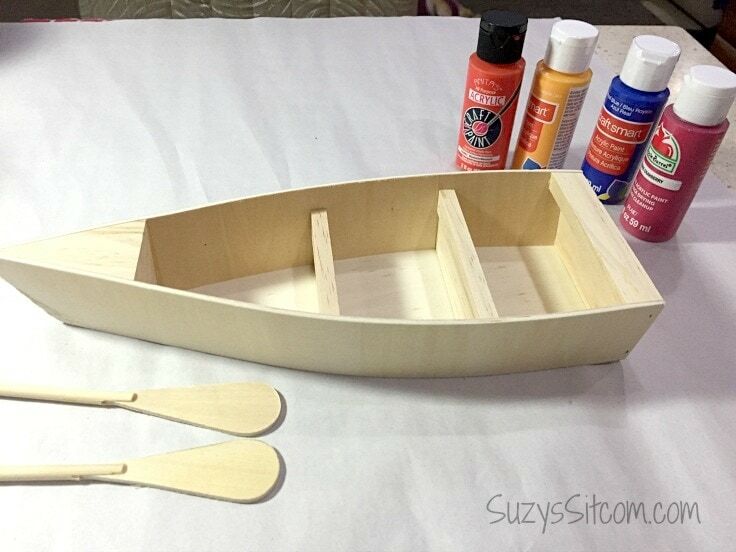 For this project, I used 1/4″ as my guideline and marked off 6 rows along all three sides of the wooden boat. 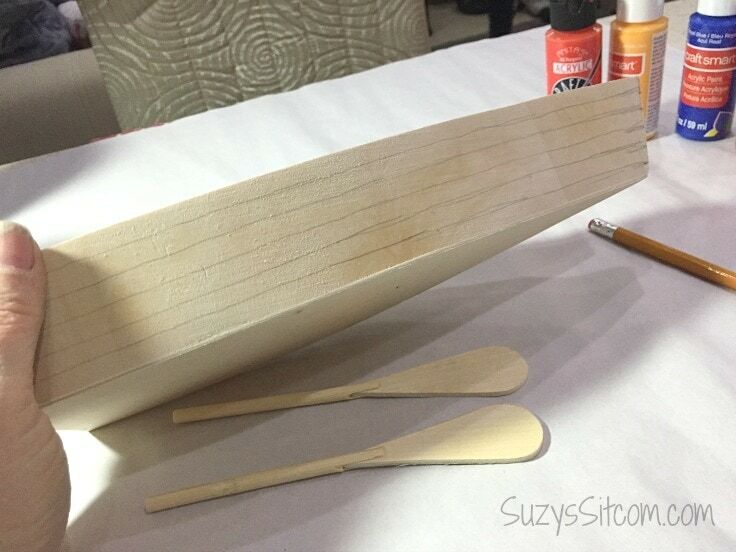 These pencil lines will be your guide for the next step in decorative painting the easy way. Step 2: Choose your colors and paint the rows. Choose six bright colors that you love. Keep in mind, that they do not have to “go together”. If you use the same six colors throughout the project, they will soon work together beautifully. Neatly paint each row of color in any order that you like. 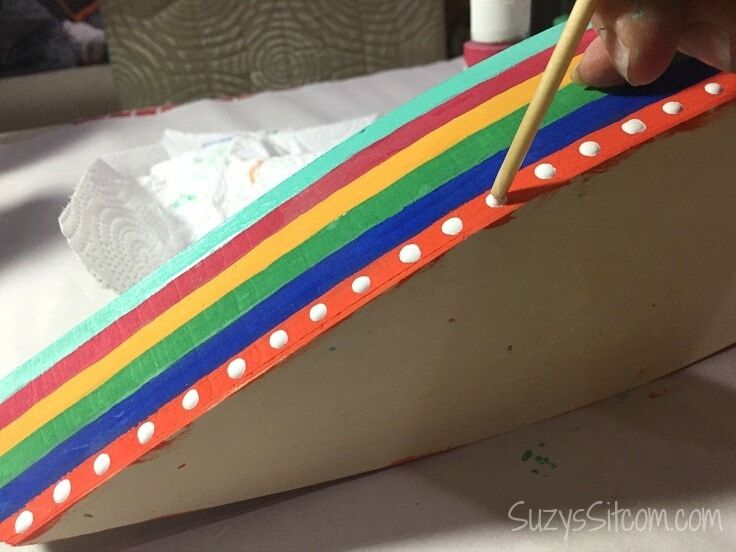 Paint all three sides of the boat. For this project, I chose to add in a seventh color of white. 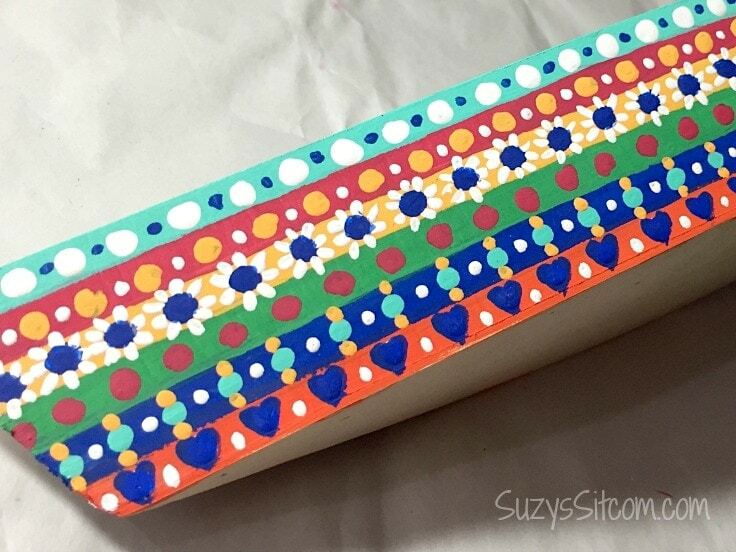 Turn your paintbrush around and use the end to dip into your paint and add dots of color evenly spaced along each row. Use one of your chosen colors in each row. (This is how your decorative painting colors begin to all go together). In the photo above, you can see that once I added dots of color to each line, I then went in and added smaller dots of colors for more details. There is no wrong way to do this. Decorative painting is simple that way. (Note that I did change my bottom line to hearts- I just painted a heart over each dot). Try to use each color throughout the project, adding smaller dots with the paintbrush, rather than the end of the brush. Complete your details on all three sides of the project. Remember, there is no wrong way to Decorative Paint! Step 5: Add a clear coat of Mod Podge to finish. 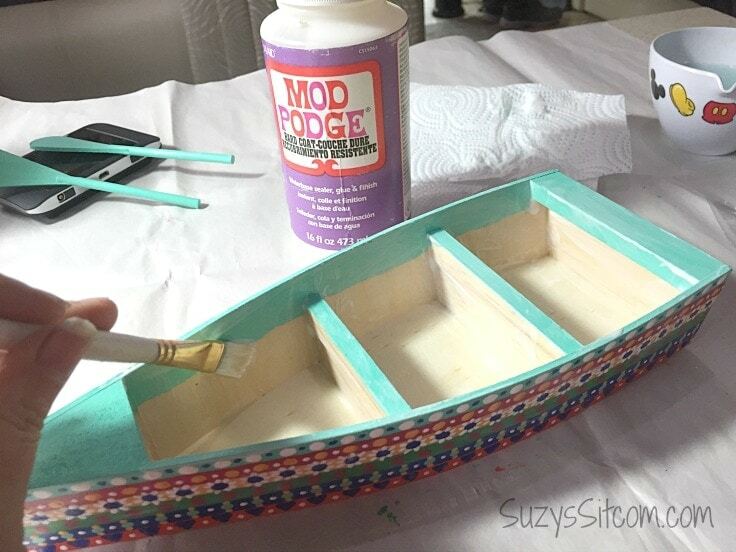 In order to protect the paint and the wood underneath, and also give the project a finished look, add a coating of Mod Podge to the whole project. 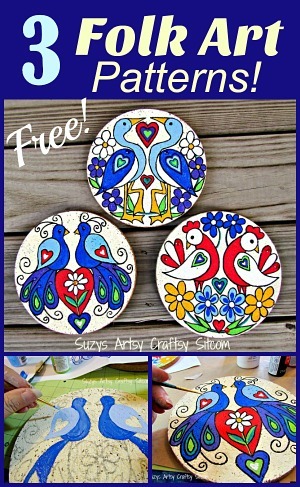 Mod Podge brings out the bright colors in decorative painting. 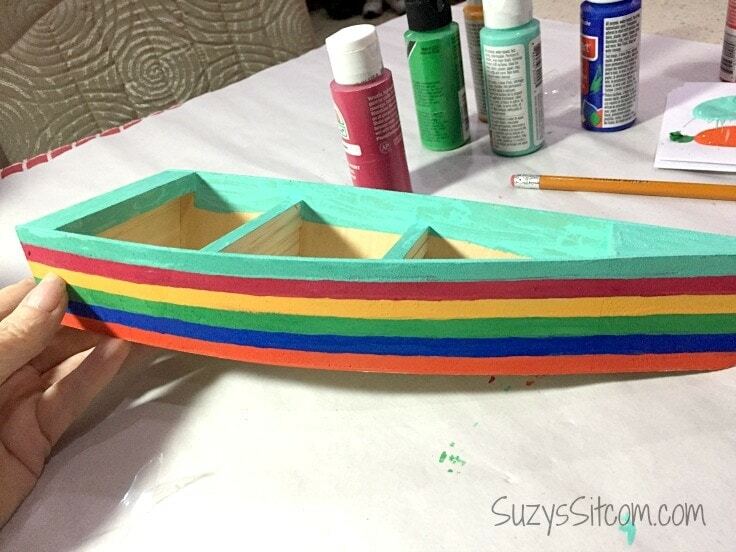 Since I turned this project into a planter, I did not paint the inside of the boat, but added several coats of Mod Podge also to the inside to protect the wood. The final touch was to add my plants! 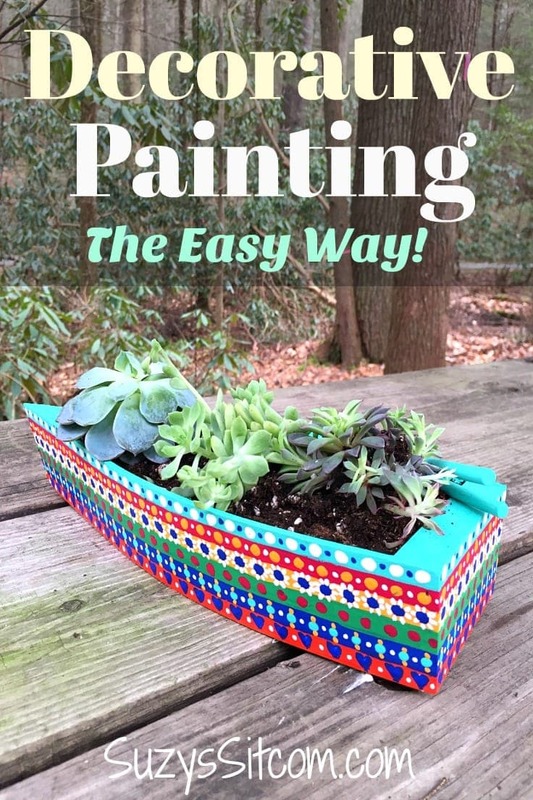 This pretty boat will add a bit of life to my windowsill over the winter and bring lots of color to my home. Try your hand at decorative painting! 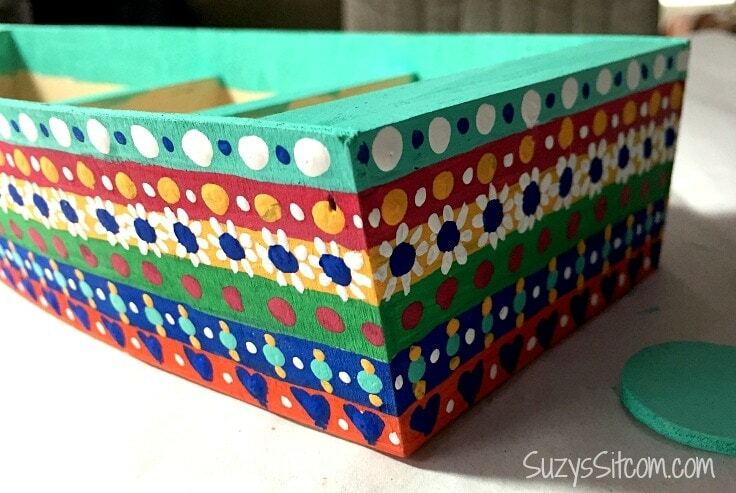 You will be surprised at how easy it can be to add color to a simple project! 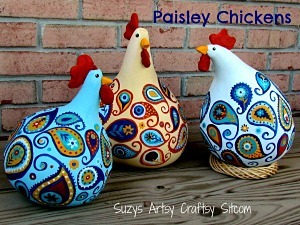 DIY Paisley Chickens made from Gourds! 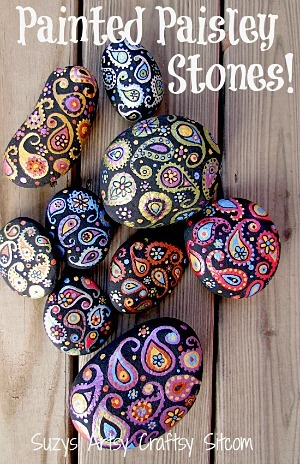 Painted Paisley Stones- Fun Painting Project!